Located on our property's four beautiful towns Mountains, Stars, Clouds, and Ocean. 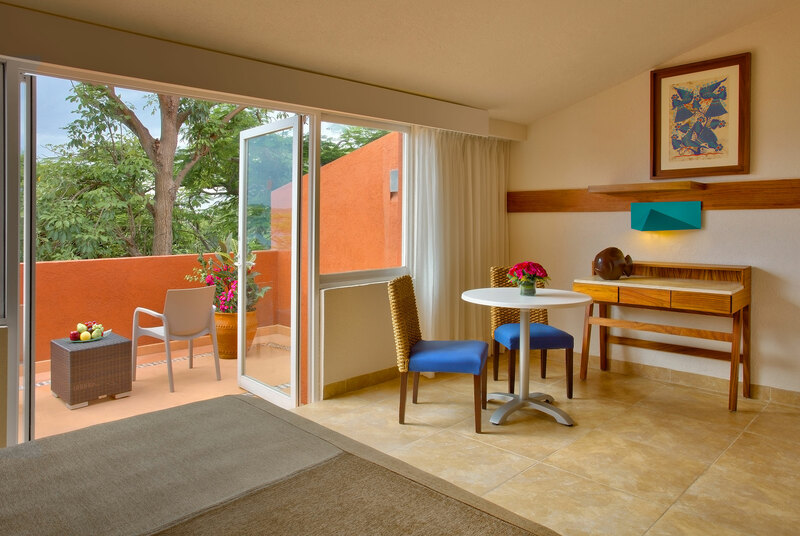 Our rooms celebrates the natural beauty that surrounds us here at Las Brisas Huatulco. The open Mexican Style of our accommodations acts as a stage for incredible views of the Pacific Ocean and our exotic vegetation. 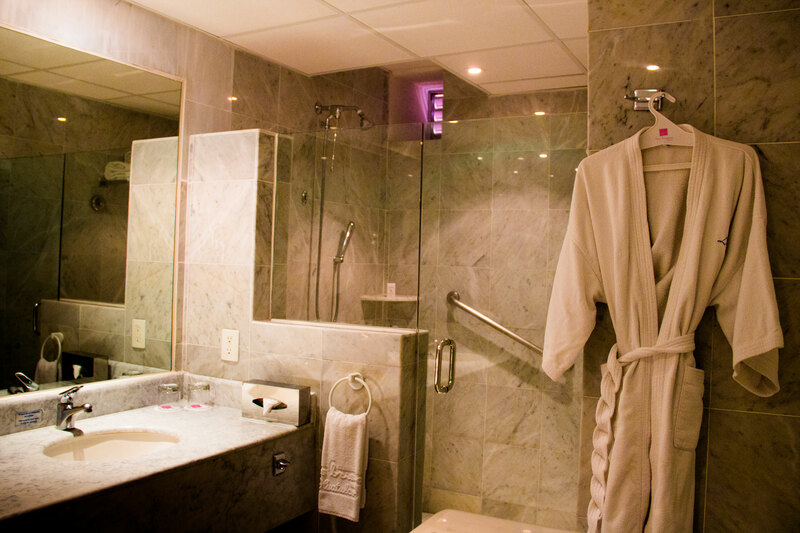 Escape the action of the day and recharge in your delightfully fresh accommodations. 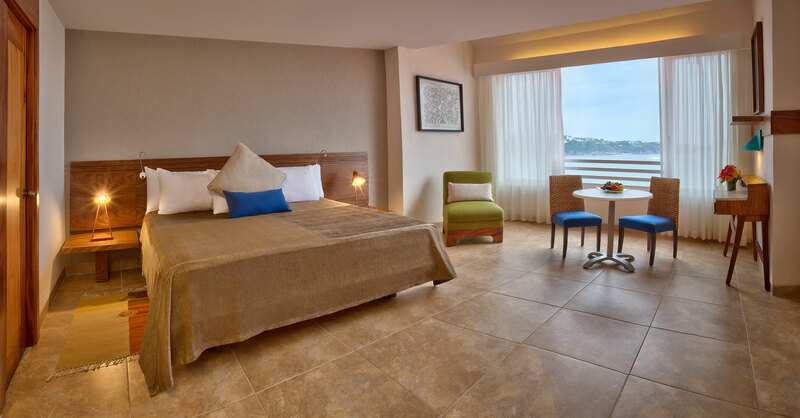 Featuring 2 queen beds or 1 king bed, and a private bathroom, these rooms are the ideal retreat during your stay. Maximum Capacity: 2 adults and 2 children under 12 years old in the same room or 3 adults and 1 child under 12 years old in the same room. Private bathroom, ceiling fan, safety deposit box, air conditioning, minibar, cable television, telephone, desk, vanity, hair dryer, coffee maker, handicapped options on request. Retreat to the relaxation of your welcoming accommodations featuring 2 queen beds located on the first floor, down the stairs. 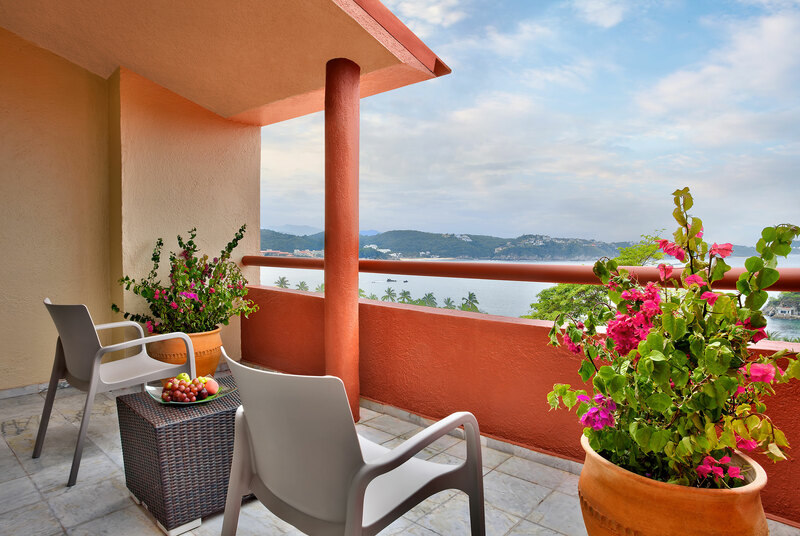 From your private balcony, you can relax as you take in gorgeous views of our surroundings. Max capacity: 2 adults and 2 children under 12 years old or 3 adults and 1 child under 12 years old in the same room. Balcony, private bathroom, ceiling fan, safety deposit box, air conditioning, minibar, cable television, telephone, desk, vanity, hair dryer, coffee maker. These one-bedroom suites come with a king bed or 2 queen beds. 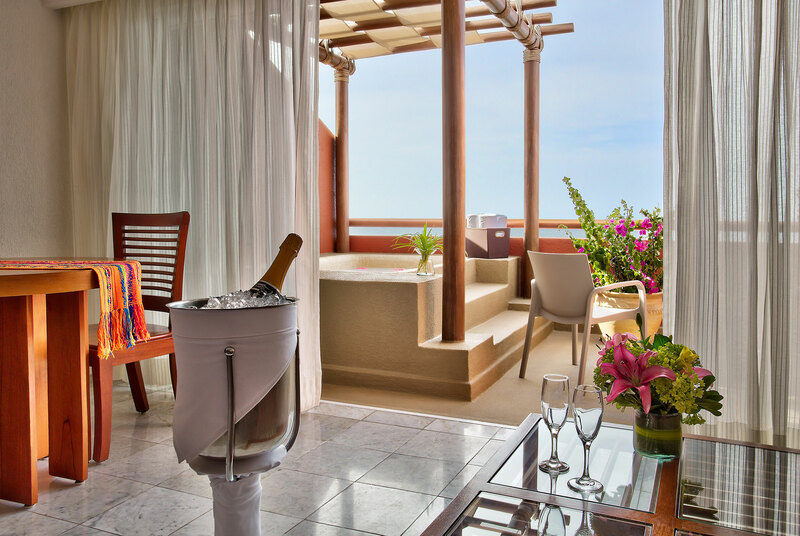 From your private balcony, you can enjoy spectacular views of our gardens or the Pacific Ocean. Private balcony with lounge chairs and table, living/dining room with marble bar, loveseat, 4-person dining table, contemporary bathroom with marble shower and 2 vanity sinks, TV, minibar, coffeemaker, telephone, alarm clock, iron, hair dryer, safety deposit box, 2 phones, desk, air conditioning. Enjoy more of your own space in these luxurious one-bedroom suites, each featuring a king bed or two double beds. 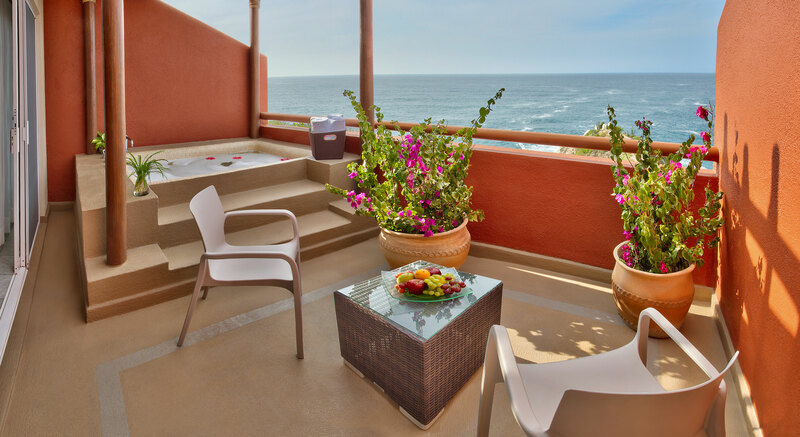 From your private balcony on the second or third floor, you can relax as you take in gorgeous ocean views. Private balcony, exclusive lounge access, private bathroom with marble floors and 2 vanity sinks, ceiling fan, safety deposit box, air conditioning, minibar, cable television, telephone, desk, vanity, hair dryer, coffee maker. 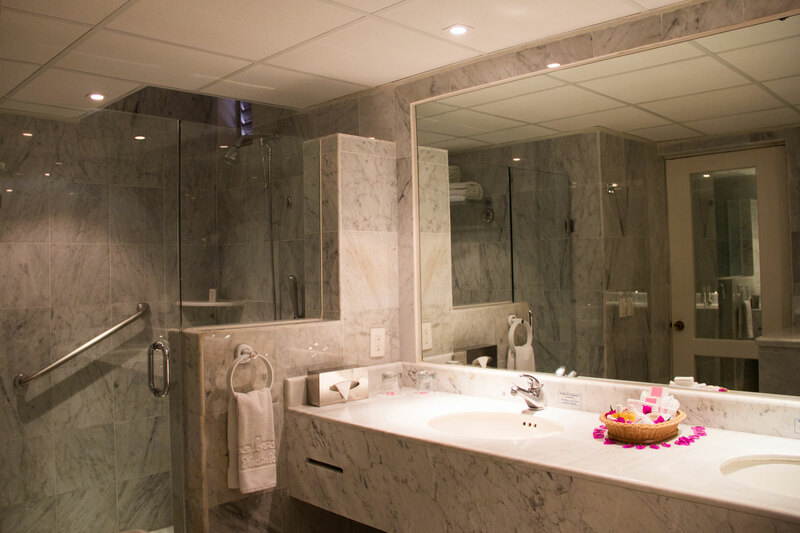 Designed for romance, the Honeymoon Suites will make your stay with us truly memorable. 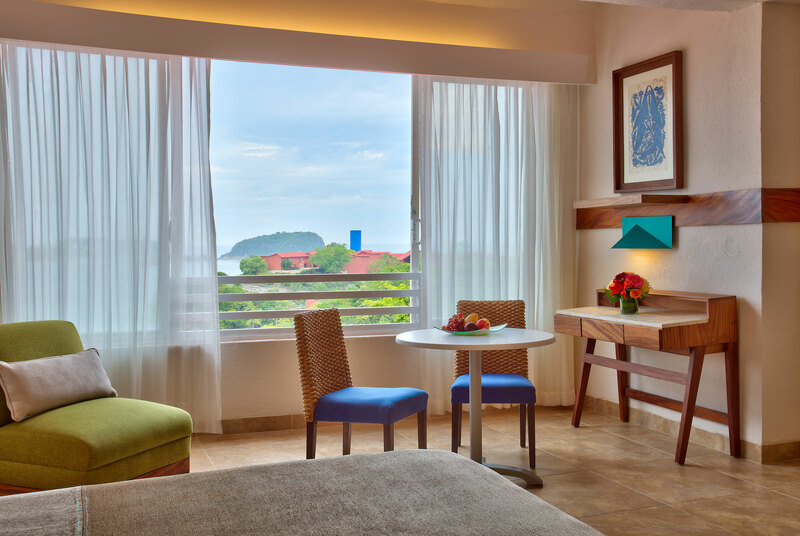 Slip away from the action of the resort to your luxurious king bed or to the Jacuzzi on your private balcony. Private terrace with Jacuzzi, exclusive lounge access, private bathroom with marble floors and 2 vanity sinks, ceiling fan, safety deposit box, air conditioning, minibar, cable television, telephone, desk, vanity, hair dryer, coffee maker.